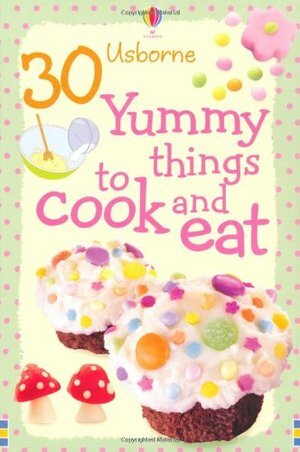 Features 30 cards, each showing a tasty and simple treat which can be made at home. On one side of the card, there is a photograph of the finished dish, which when turned over shows step-by-step picture instructions on how to make it. The recipes include chocolate brownies, mini meringues, raspberry ice-cream and ginger star biscuits.